I think that I originally heard this puzzle from my maths teacher in secondary school (the fantastic Liz Swan), circa 1998. It’s a bit of a warm-up really; not too mindbending, no maths required, but quite fun nonetheless. Puzzle: You are the captain of a small band of pirates and you have successfully looted a merchant ship, bringing in a haul of 100 gold pieces. It must now be decided how the gold will be divided between you. Your crew consists of four pirates (I did say it was small…): yourself, the ship’s master, the mate and the cabin boy*, and you operate a strict hierarchy. 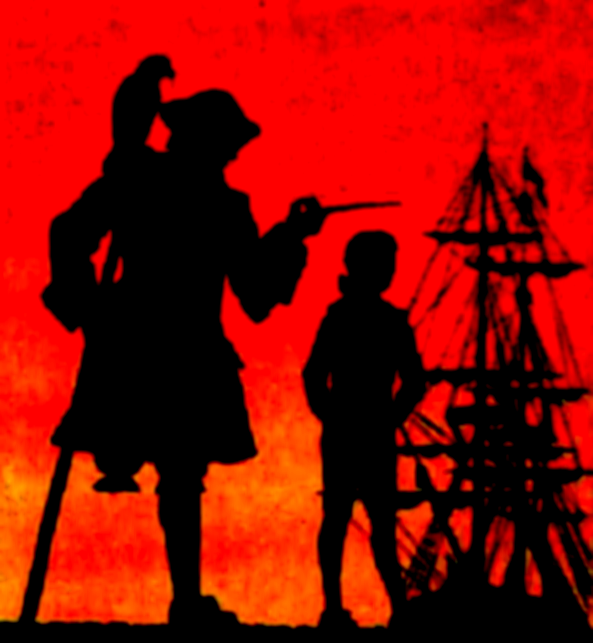 The captain outranks the master, who outranks the mate, who outranks the cabin boy. First, the most senior pirate (yourself, in this case) proposes a particular division of the treasure. For example, you might specify that each person gets 25 gold pieces. Then, all pirates (including the one who proposed the split) vote on whether to accept or reject this division. If a majority vote in favour, the treasure is divided as suggested. However, if a majority reject the split or if there are equal numbers in favour and against, the pirate who proposed the division is thrown overboard and the next most senior pirate gets a chance to propose an alternative. This process continues, until either a split is accepted or only the cabin boy remains, in which case he invests the money wisely and lives a long but ultimately disappointing life. Now, you know your crew. They’re a highly intelligent and ferociously logical bunch. They always act to maximise their gains and the only thing that they care about is money. Getting nothing is as bad as being thrown to the sharks as far as they’re concerned. Only when presented with two options of equal monetary value will they choose randomly, in all other circumstances, their actions are very carefully considered. Your dilemma is simple. How should you propose to divide up the treasure to ensure that you get as much gold as possible without being cast into the waves? PS. No, you can’t allocate fractional gold pieces. Whole numbers only. For the solution to the puzzle, click HERE. * For more info, see this interesting page on pirate ranks. IMAGE: This is an altered version of a rather nice public domain image from a stamp issued in 1969 in the British Virgin Islands to celebrate the 75th anniversary of the death of Robert Louis Stevenson. I hope that one piece for the cabin boy doesn’t make another feel un-maximized. This solution would work, but based on the criteria set out in the question, you can do better.